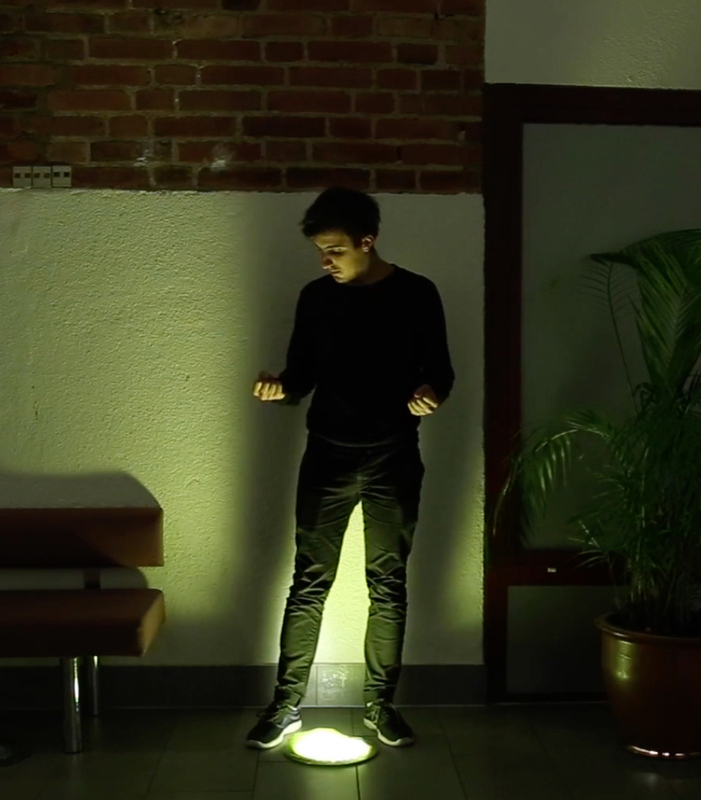 Kinetic is an interactive installation made as a personal artistic exploration. I wanted to explore the possibility of merging technology with art and creating a shape dependent on interaction and interaction depended on shape. What is form and how do we develop sensitivity and expressive capacity of form in relation to interaction. A short process video of “the making of the installation”. 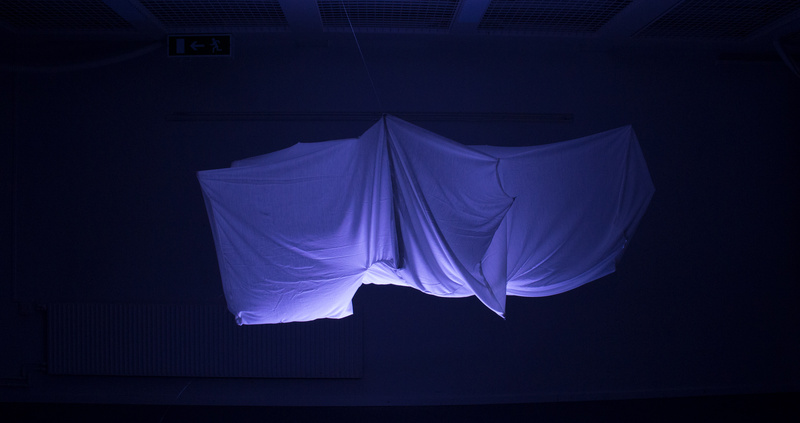 5m2 sheet of textile, hanged from celling with 8 Servos (2 per finger). Servos are controlled via Leap motion, moving servos in order to change properties of installation.